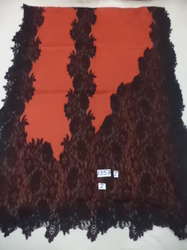 We offer your pure merino wool with heavy lace patches stoles size 70x200 cms.Available in assorted colors and lace designs.we offer you indian lace,Australain lace,Indonesian lace and in French lace. 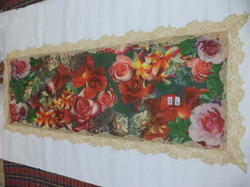 Merino wool with imported rose lace work stoles Size 70x200 Available in assorted colours. We offer you 100% fine Merino wool with Australian lace 4 side round round and center lace patch stoles in contast,tune on tune colours.Always available in stock in assorted colours and designs. We offer you 100% fine Merino wool with Australian lace 4 side round and center lace patch stoles in contast,tune on tune colours.Always available in stock in assorted colours and designs. 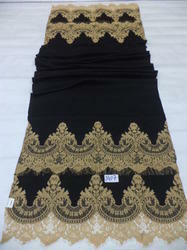 We offer you 100% fine wool with contrast lace stoles in assorted colors and designs size 70x200 cms. Available in stock in assorted colors and lace designs. 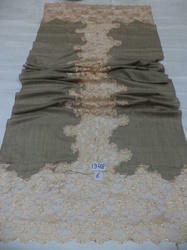 We offer you 100% pure woolen shawls with 4 side lace in assorted colors and designs size 70x200 cms. we offer you widest varieties of Fine merino wool tie dye lace shawls in best colour combinations which looks very pretty and attactive.Always available in stock in assorted colours and designs. 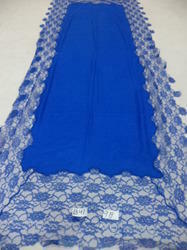 100% pure merino wool 120 count with Fancy lace work shawls size 70x200 cms.Always available in stock in Assorted colors. 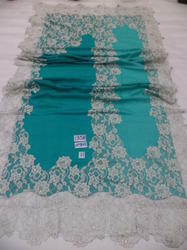 we offer you 100% fine merino with with double zari border lace shawls size 70x200 cms.Available on order basis in your desired colours. 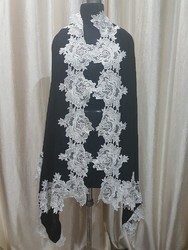 100% fine merino with heavy 4 side zari lace applique shawls.Available in black base fabric with zari lace.Other colours will be available on order basis only. 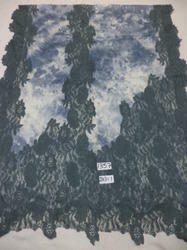 100% fine merino wool with Digital print and 4 side lace work shawl size 70x200 cms.Available in assorted prints and lace colours. 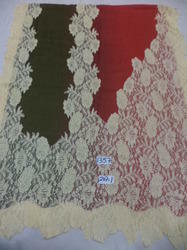 100% fine Merino wool 120 count with Indonesian Heavy lace work shawls size 70x200 cms .Always available in stock in assorted colours.